The forbidden education is a documentary meant to question the current school logics and the way of understanding education by making visible different educating experiences, that are considering the need of thinking another educational paradigm. 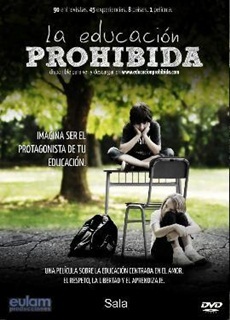 The Forbidden education is a project done by young people, trying to show the vision of those who learn. Is a research project that covered 8 countries and interviewed more than 90 educators about the different educational proposals. The film was collaboratively financed thanks to hundreds of coproducers and is under copyleft license, which promote the copy, viewing, distribution and modification without commercial goals.